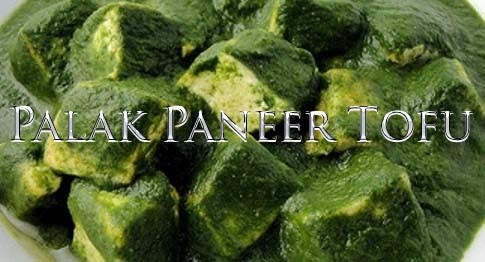 Heat oil in non stick pan, add cumin seeds and garlic and sauté for 1 minute.Add onions and sauté till well browned.Cut hard tofu, silken tofu and paneer into squares.Add green chillies, black peppercorns, paneer, hard tofu, salt, spinach puree and 4-5 tbsps water to the pan. Mix and add garam masala powder. Mix well and cook for 2-3 minutes.Add silken tofu and mix gently. Cook for 2-3 minutes more.Serve hot with chapatti.